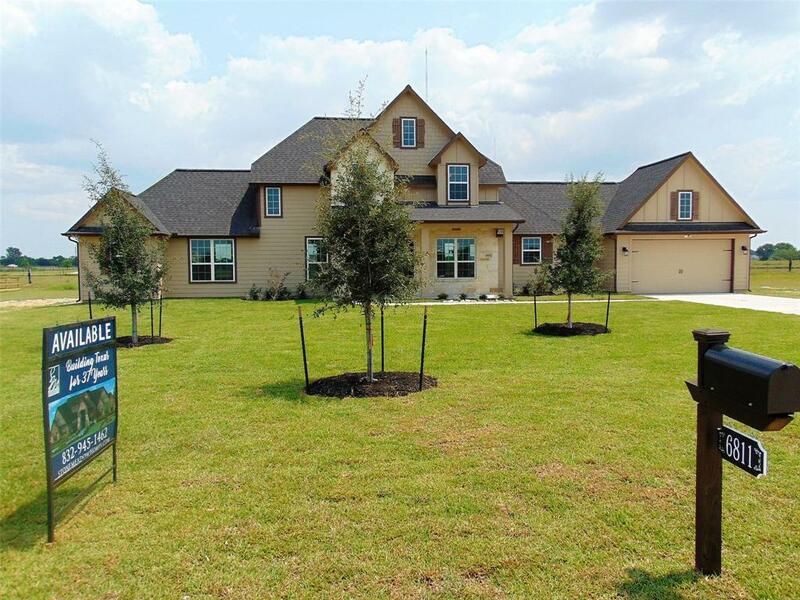 Luxury acreage home under construction by Stonemeadow Homes in this new acreage community - Bayou Trails Estates. Home sites are a minimum 1 acre size. This well designed two story plan offers 2,212 sq ft of living space. 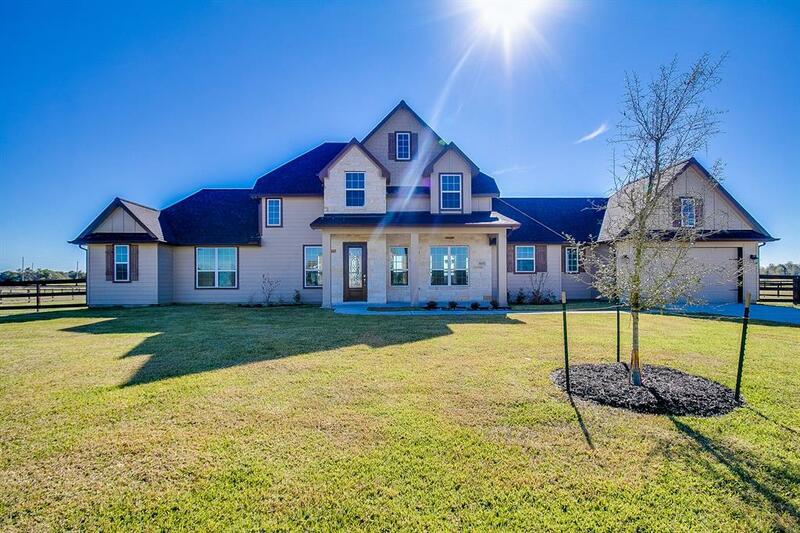 3 bedrooms, 2 full baths, 1/2 bath and a 2 car attached garage and front and rear porches! The living room is spacious offering 18' x 18 ' of open space adjoining a 12' x 18' formal dining area. A mudroom offers a convenient location to store belongings. Granite countertops in kitchen and all bathrooms are standard. Our youngest residents attend Alvin ISD schools. 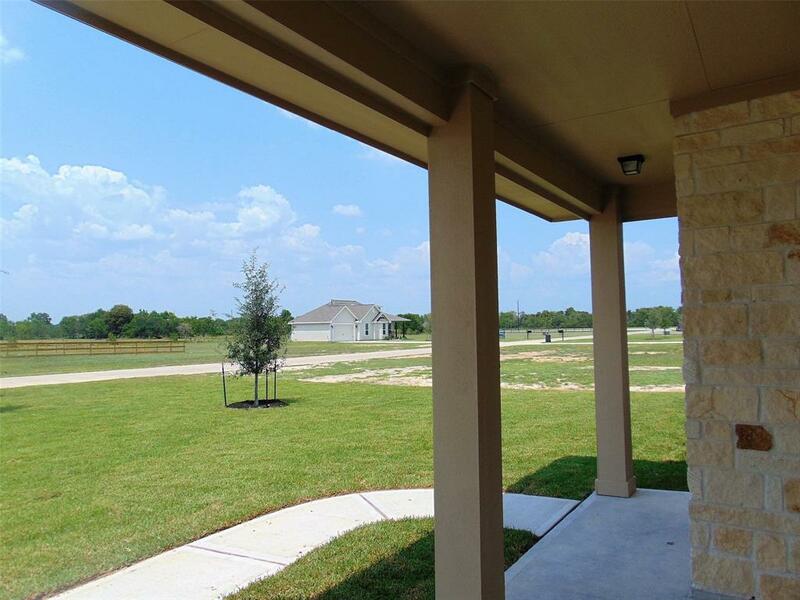 Located minutes from Hwy 35 and FM 2004 in Alvin, TX. Call for appointment to view! Room sizes are approximate, buyers to confirm. Listing courtesy of Savannah Plantation Realty.